When you’re in the ice cream aisle, you have plenty of choices. The only problem is every single brand of ice cream is putting out the same ten flavors. You put those flavors of ice cream in the same bowl, and the experience is not portable at all. When did the ice cream industry get so stale? You’re not just going to settle for the same thing every single time, are you? Want to know what sets Mochi apart? Here are three things that make Mochi unique, setting them apart from everyone else in the ice cream industry. It’s not just unique, it’s Mochi. How are these sweet little balls of delectable ice cream contained? Why, only by the sweetest dough you’ve ever seen. With a smooth and soft touch, this chewy dough melts in your mouth, melding perfectly with the ice cream. Every type of sweet mochi dough is unique, and tailored specifically to the flavor on the inside, so you can get the premium ice cream experience that sets Mochi apart in a way that others simply can’t match. Let me ask you something. Have you ever seen the flavor “plum wine” anywhere else? Mochi Ice Cream has plenty of flavors that you’re familiar with, but also a few that you may have never heard of before. 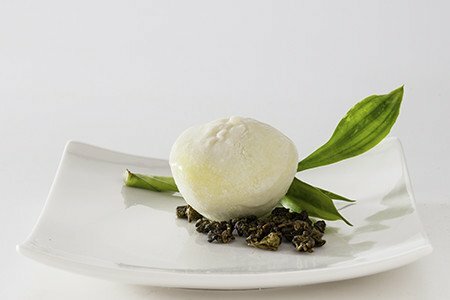 Enjoy unique takes on ice cream such as red bean, green tea matcha, black sesame, and many more. The simple fact of the matter is that you’re not going to be able to find these flavors anywhere else, no matter where you’re looking. It doesn’t matter if you want traditional flavors or something unique and new with Mochi, it’s always there for you to try. One thing is for sure, you’re not going to take your regular ice cream to go. Although Mochi can melt just like any other ice cream, the sweet rice dough covering it all around makes it a timely, portable treat as long as you get to it quickly enough. Take it with you on a picnic, on the train, or as a treat when you’re taking your nightly walk. Not only does the sweet Mochi dough provide you with a sweet cover you can’t get anywhere else, it also turns a treat that’s never been portable before into a travelling sweet dessert. Mochi is different, and people all over the world have realized it. It’s just not another ice cream in the aisle, it’s something unique and different that you can’t copy. Between the unique flavors with innovative recipes, the portability factor, and the sweet Mochi dough that melts in your mouth, melding together with the ice cream, Mochi Ice Cream has taken an industry that had been stale, and revolutionized it into something completely new. Mochi Ice Cream is beyond unique, to the point where you should start to wonder why your regular ice cream doesn’t offer you the same kind of benefits.